BoxId: 932607 – Additively manufactured 3D spray head for forging plants wins design award in the category "Industry"
Additively manufactured 3D spray head for forging plants wins design award in the category "Industry"
A small machine component winning a design award is probably a first in the history of the German Design Award and certainly worth noting. The component for which plant and mechanical engineering company SMS group (www.sms-group.com) has received the German Design Award 2019 in the category “Industry” is a spray head used to cool dies in forging presses. All involved in the various teams that have been working towards the common goal of adopting an entirely new approach to designing and producing a machine component were excited about the news. Not only the component as such was relevant for the judges, but also the fact that it exemplifies the various aspects of Additive Manufacturing, a technology that has been opening a whole range of new possibilities for the design and functional layout of components. Every year the German Design Council organizes the German Design Award, one of the most recognized design awards worldwide. This Award recognizes innovative products and projects, and the companies or individuals who have fabricated and designed them. 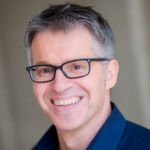 Axel Roßbach: Research and Development Extrusion and Forging Presses, SMS group GmbH: “Winning the Design Award makes us extremely proud. It is recognition of many teams within SMS group whose work is characterized by a highly interdisciplinary approach. The spray head is a milestone innovation marking a new era in the design of plant and machine components, enabled by the gamechanging potential of 3D printing and functionoptimized design. The design of a machine part is today no longer limited by the constraints imposed by conventional – processoptimized – forming and machining techniques. 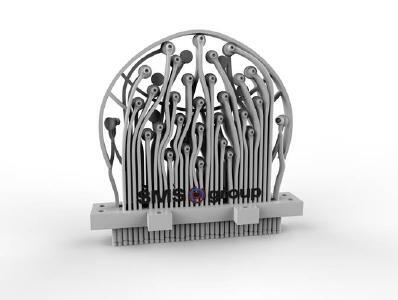 Supported by latest software and computer technology, we can now give a component exactly the design that fulfils its designated function in the best possible way. Another important aspect is that we have used new materials. Therefore the Award honors not only a new design, but above all the new way of thinking lived within SMS group, which has materialized in a global approach to Additive Manufacturing.” According to Axel Roßbach, the new spray head is an example of how nowadays, in the digital age, different disciplines interact and what opportunities Additive Manufacturing holds in store. The new spray head solution produced by 3D printing is the result of a joint effort by the Forging Plants Department, the Additive Manufacturing Project Team and the simulation technology experts of SMS group. Although the Design Awardwinning spray head is in the focus of attention above all due to its extraordinary design, this is only one facet of the many activities underway at SMS group in the area of Additive Manufacturing. 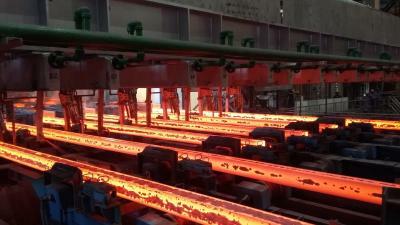 As the “Leading Partner in the World of Metals”, the company’s plans and strategies are of much wider scope. 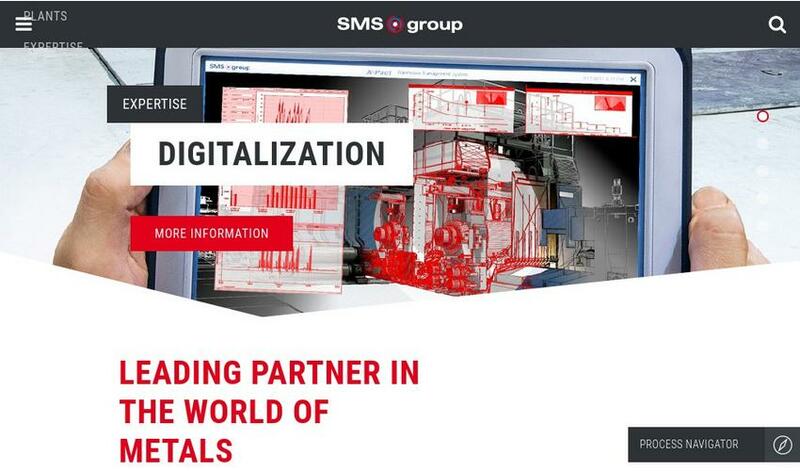 SMS group is not going to limit its AM activities to the design and production of innovative machine components, but will also offer integrated solutions for the complete process chain of Additive Manufacturing on the market. Although the new spraying system for drop forging plants is only a small object, it is – in the true sense of the word – a prize example of the exciting developments the plant and mechanical engineering sector is going to see in the very near future. With its corporatewide strategy program “New Horizon”, SMS group is bundling all futureoriented activities in connection with Additive Manufacturing, digitalization, Industrie 4.0 and new hightech materials. The reason behind this strategy is the fact that all these areas are interconnected and can only be advanced in a concerted approach. The strategy has worked out well. 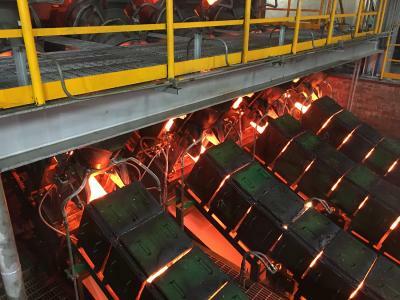 Numerous projects, such as learning steel mills, plants for the production of highperformance materials, and environmental technology that provides both ecological and economic benefits have already been successfully implemented. The new 3D-printed spray heads certainly fits into this category. [PDF] Press release: Additively manufactured 3D spray head for forging plants wins design award in the category "Industry"